MBOX to Lotus Notes Converter is a one-stop solution for converting more than twenty email clients with MBOX format to Lotus Notes format. It is an efficient and professional tool to Convert MBOX files to NSF format. This is the best way to export MBOX mailbox to Lotus Notes NSF format with attachments. MBOX file to Lotus Notes migration tool can allow preview contents of all the mailbox items in a single interface. 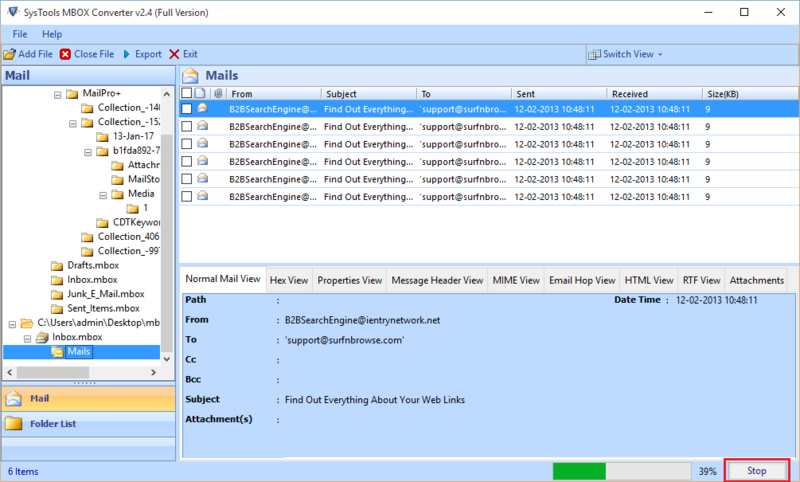 This a Windows Explorer-like pane that allows users to view mailbox data like emails, contacts, calendars, tasks, journals etc. They can view the contents and convert only those files that are needed. 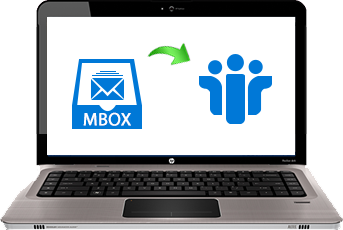 MBOX to Lotus Notes conversion tool can migrate multiple mailbox emails in one go. One can just upload ad scan the mailbox data to the software and start the transferring process. It is a reliable and relevant tool that export emails with their attachments. No email header details or formatting is effected after the migration process is over. The MBOX emails to NSF Migrator have added functionality of choosing between two different modes for scanning a MBOX file. Users can opt to migrate one MBOX file at a time or batch transfer files to Lotus Notes application. To select a single file just right-click on it and click Export. To transfer multiple MBOX files just tick the checkbox next to the folder containing these files. One can choose to create different names for the files that have been migrated. These names can further simplify the process of identifying the emails based on a date filter. Apply a ‘to’ and ‘from’ date to export limited mailbox items. This will save a lot of time and effort for the administrator. One can give a different name to each conversion performed. MBOX emails to NSF conversion software have very many features and functionality. One of the most prominent is the auto detection of MBOX files within a system. As soon as the software is launched, it started the file explorer. 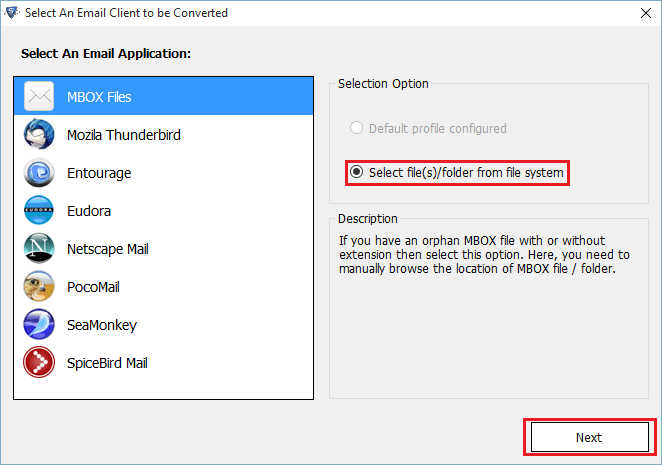 This is to identify the email clients available on the system that use MBOX file for storage. Having done that a list of all the email client is presented to the user for selection. Often the MBOX files are old and are often found in a most corrupt and incoherent manner. Sometimes it is even difficult to view those files even with the appropriate desktop based email client installed. In such cases, MBOX email to Lotus Notes Converter is a relevant solution. It not only reads a corrupt data in a mailbox but also repairs it before migration. One can choose to recover lost or deleted emails by mistake using this utility tool. A progress report is generated after the migration process is completed. It contains useful information like the number of files exported, number count etc. This file can be saved in both HTML and CSV file format. This file becomes essential when exporting almost 2TB of data at a time. One can refer to each conversion report for future reference. Lotus Notes installation is required for using Export MBOX files to Lotus Notes NSF. Lotus Notes Installation is essential for converting emails from MBOX format to NSF file format. However, a Lotus Notes installation is essential to view the files that have been converted. This software works with all versions of Windows 8 and below. Mac Mail to Lotus Notes converter Software allows users to convert Apple mail files to Notes format. To check the availability of accessing mac OSX file database into NSF file format of Lotus Notes Mail Client. This utility is completely windows based and supports all Lotus Notes version. Mozilla Thunderbird to NSF Converter has the ability to convert entire Thunderbird mailboxes to Lotus Notes file format. It is an advanced solution which instantly export mailboxes data items from emails, drafts, notes, calendars etc into NSF file format. Entourage to NSF Converter tool to migrate complete data from Entourage mailboxes to NSF file format. This software can be installed on all versions of Windows Platform 2010, 2008, 2007, vista, XP and 2000. Spicebird to NSF Converter tool helps to convert multiple spicebird files into Lotus Notes format. Software maintains meta data information and formatting of Spicebird file. Software is absolutely safe & secure to perfectly import Spicebird emails to Lotus Notes. It is a very easy-to-use and simple tool for converting my Thunderbird emails to Lotus Notes format. My team and I were looking for similar solutions in the market as our organization has moved to Lotus Notes. Since then we are searching for a professional solution to make our task easier. It is a difficult task this transference. Hence, we opted for MBOX to NSF Converter which solved our problem. My company needed the old conversions of Thunderbird for a legal matter. We were unable to find a proper solution for a long time. I searched for your tool and downloaded it to my system. I was able to work fine and view previous emails using this Export MBOX files to Lotus Notes software. I am utterly grateful for this tool and will be recommending it to my data center team. Thank you! MBOX is the desktop-based mail client file format. Basically, this file format is used by multiple clients such as Eudora, Thunderbird, Apple Mail, and much more for organizing and saving emails in database. Ever since it is known as Mailbox, which can save each mailbox under one single or large file and such files can be opened by using the editors. MBOX is a kind of file storage facility to store mailbox items on a local computer. It is used by more than twenty desktop based email clients. It is short for MailBOX and saves data in a text file. This text file has the extension ‘.mbx’ or ‘.MBOX’. Sometimes these files are without an extension. It is a very common format for saving email messages in a text file. The text file is a long concatenated string of emails beginning with the “from” header. Any important mailbox data of IBM Lotus Notes are stored in a Notes Storage Facility(NSF). It is a database file with the extension ‘.nsf’. It stores data in document units called ‘notes’ that store email and calendar information. These are hosted by Domino Server and can be downloaded easily to view offline. Any edits made to this file will be directly reflected on the Domino server mailbox. 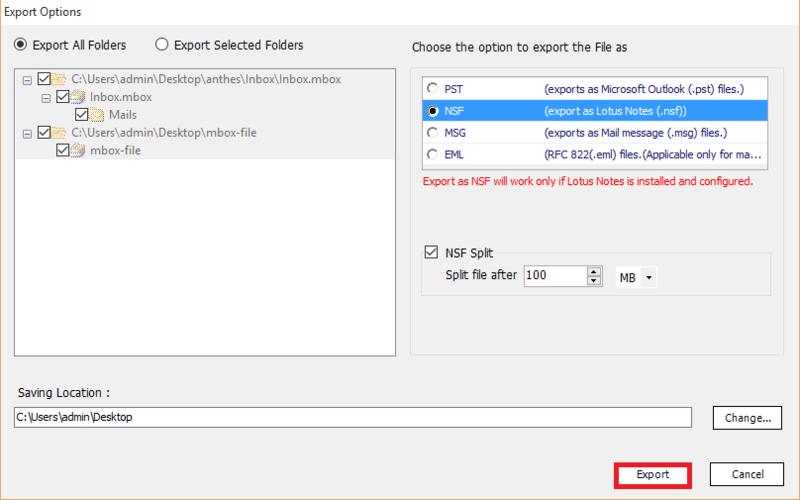 Why Export MBOX files to Lotus Notes NSF format? 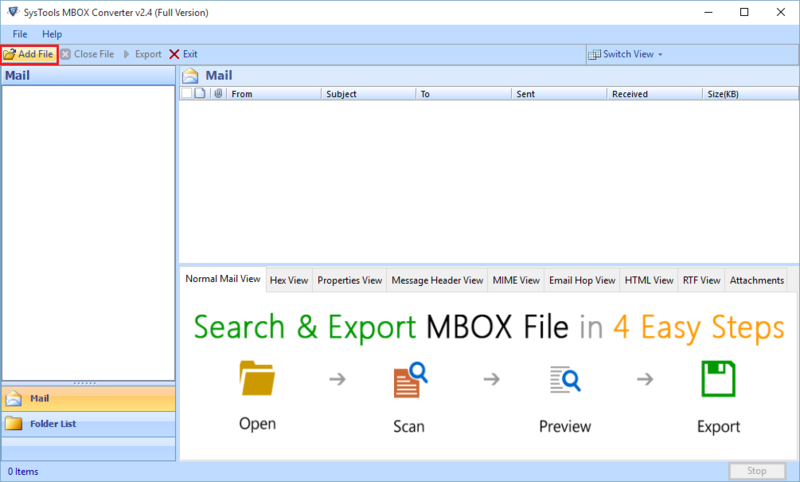 Earlier MBOX format was very popular with email clients like Thunderbird, Apple Mail. Almost all of the email clients used this file format for data storage. It became easier to migrate from one email client to another as the mailbox database file was the same. However, with changing times there has been an advancement in technology. A lot of email clients have their own separate storage format and many additional features. Many seem to be moving to a more professional IBM Lotus Notes for all their business communication. In such cases using a MBOX emails to Notes conversion is a must. Hence, here the most promising MBOX to NSF converter tool has been discussed.